UAE-based Aries Group said its Indywood Consortium is pressing ahead with a $10 billion 5-year investment plan in India and the Middle East. 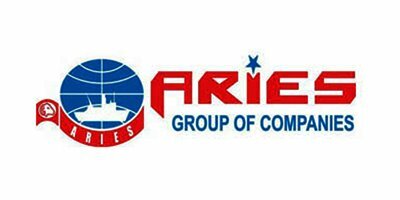 Aries Group chairman and CEO Sohan Roy said the investment would generate 100,000 job opportunities within the region and India over 5 years. Aries Marine, the flagship company of the group and the largest ship design and consultancy firm in the Middle East, will increase its market share in marine. The group will also strengthen its operations in the tourism and entertainment sector by 2020 and will expand operations in Malaysia, Singapore, Africa, China and Europe. "In entertainment, we will set up multiplex screens, home cinemas, animation/films schools in India and the Middle East. The details of other ventures will be announced soon," said Roy whose operates 47 companies in 15 countries. In addition to this, the group will produce international movies using advanced technology and worldwide distribution. "We will promote young talents through movies and it would be a golden opportunity for them to showcase their talents," said Roy, who is also a Hollywood director. The Indywood consortium initiated by Aries Group is an umbrella network connecting 2000 influential and wealthy individuals with the latent potential of India's multi-billion dollar film and entertainment sector. Several leading industrialists from across the globe are already members of the consortium, which was launched recently in Hyderabad under Project Indywood. The consortium plans to produce 1,000 movies over the next 5 years, with an added focus on the Indian animation and television industry. Through all this, the consortium aims to ensure efficient monetisation of Indian cinema's potential and raise its share in global cinema to 40 percent, Roy said at a Press conference.